Thermal imaging, FDA approved in 1982, is an unsurpassed, safe and noninvasive disease-screening technique that can detect signs of tumors up to ten years earlier than is possible using other tests. Inflammation and other conditions can immediately be detected as well such as periodontal disease or infection (that may go unnoticed by x-ray) which is incredibly important to detect early when it comes to heart health and breast health. 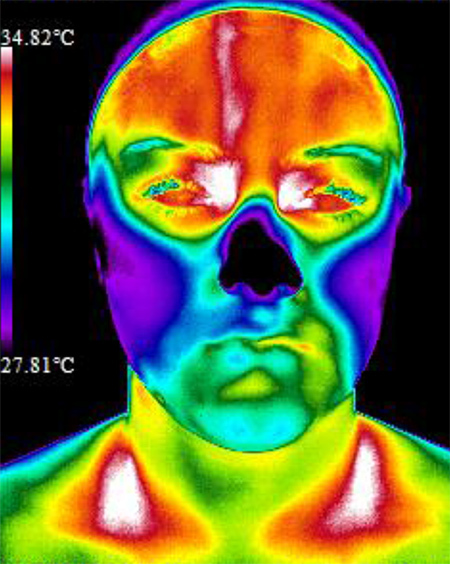 Clinical Thermography is a simple test of physiology that relies on the sympathetic nerve control of skin blood flow and the ability of the sympathetic nervous system to respond to (and react to) pain, pathology, injury or dysfunction anywhere in the body. 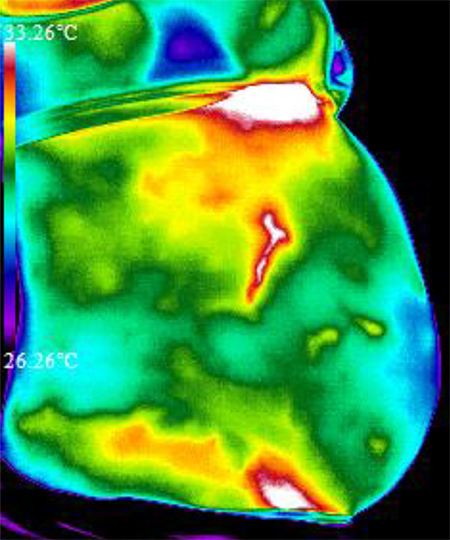 While other diagnostics, such as ultrasound, radiography and mammography show the body’s structure or anatomy, DITI (digital infrared thermal imaging) is unique in that it shows physiological and metabolic processes. Get the latest in thermal imaging technology, news and exclusive offers!